UKC has a long history. It started as a moderate KSEA Symposium in 1974. It grew into the US-Korea Science & Technology Forum/Symposium in 1993 and expanded further to the US-Korea Conference (UKC) in 1999. The tradition continues today as UKC 2018. 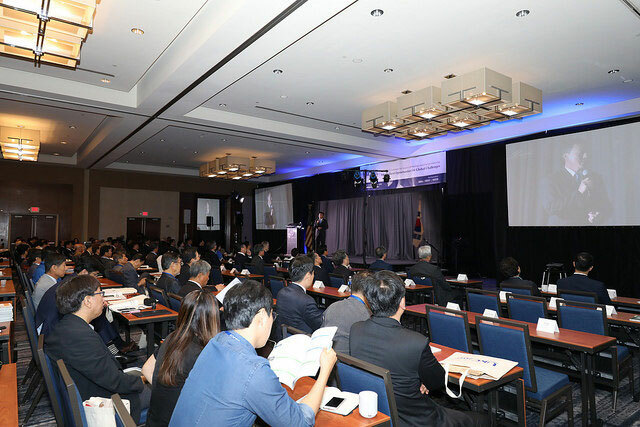 UKC 2018 provides valuable opportunities for cooperation between the US and Korea. The program includes symposiums, forums and workshops to cover broad areas of science and technology, including but not limited to basic science, applied science, engineering, technology, entrepreneurship and science policy. UKC provides an environment where convergence and innovation can be ignited and implemented. It can play a major role in the Creative Economy that requires interdisciplinary integration. UKC can play a major role in reducing the technology gap with policy makers, and build the framework to tackle global challenges through science diplomacy. UKC communicates Science and Technology with the public, and cultivates Science, Technology, Engineering and Math (STEM) education to empower future generations. The backbone of UKC is science and technology program. KSEA has 13 technical groups. These are put into a basic science program and an industry technology program of all engineering and technologies that support industry. Each program is usually composed of several symposium to share current trends in these areas. An emerging technology program presents a focused small group of cutting edge technologies of today including biotechnology, nanotechnology, robotics, grapheme, etc. UKC is hosted by KSEA, KOFST, and KUSCO. More than 200 volunteers prepare UKC in various roles.